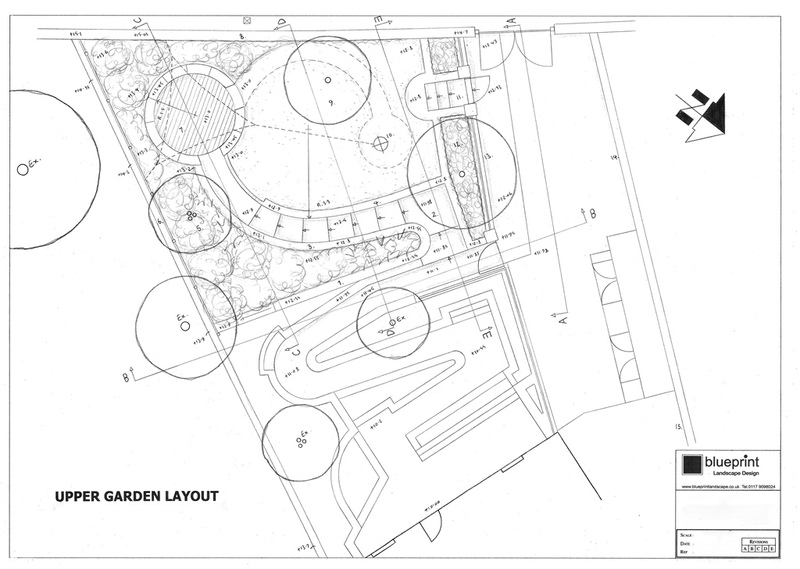 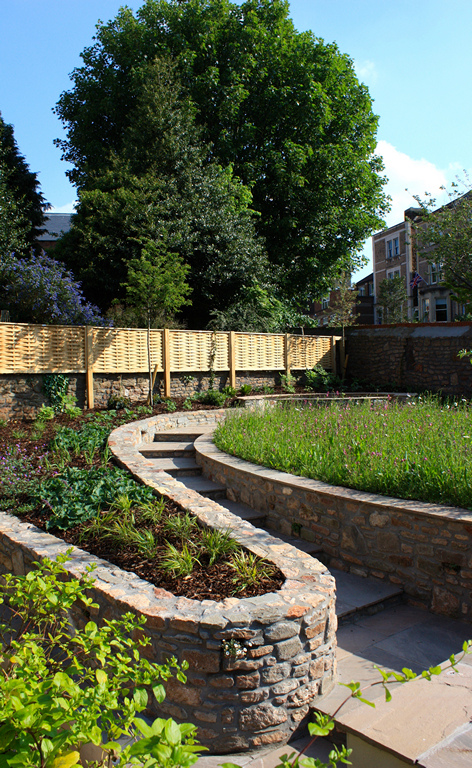 Medium sized garden (14x20m) for a basement flat in Clifton Bristol. 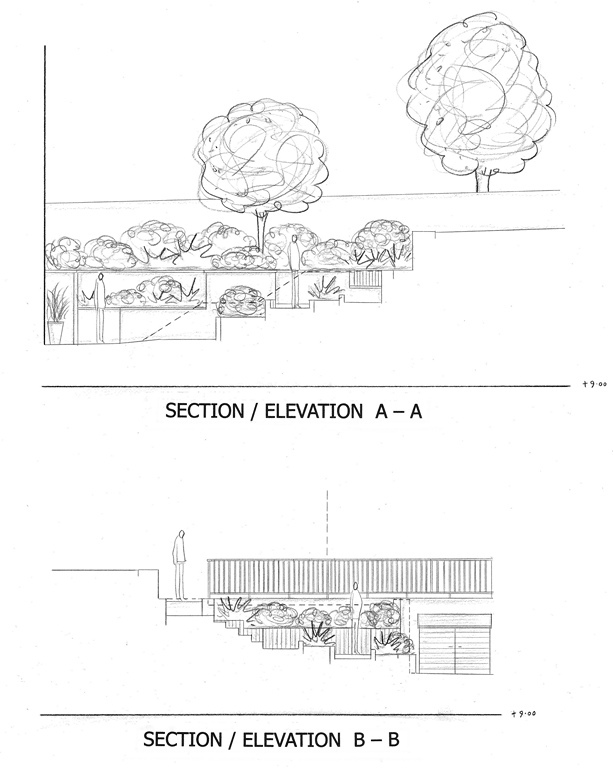 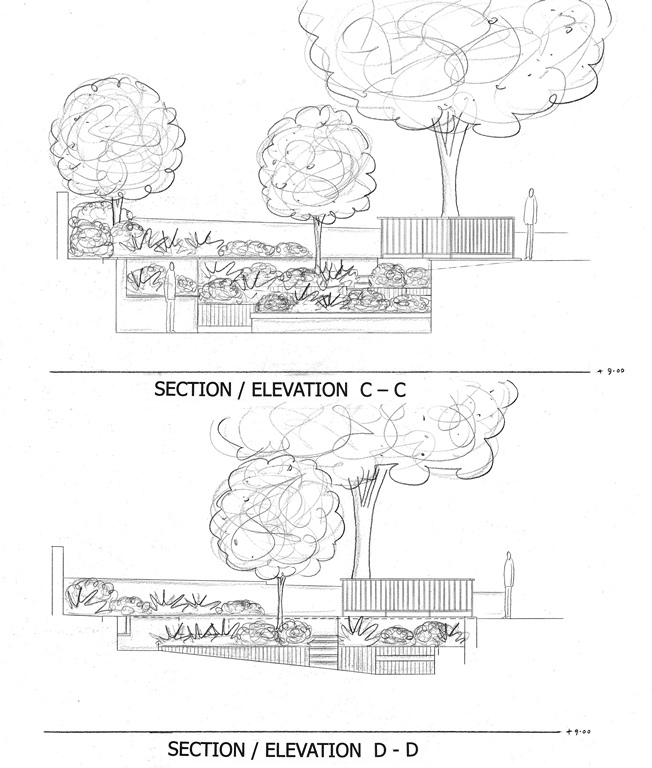 The client required a degree of disabled access but did not want this to define the garden – ‘not just a ramp’. 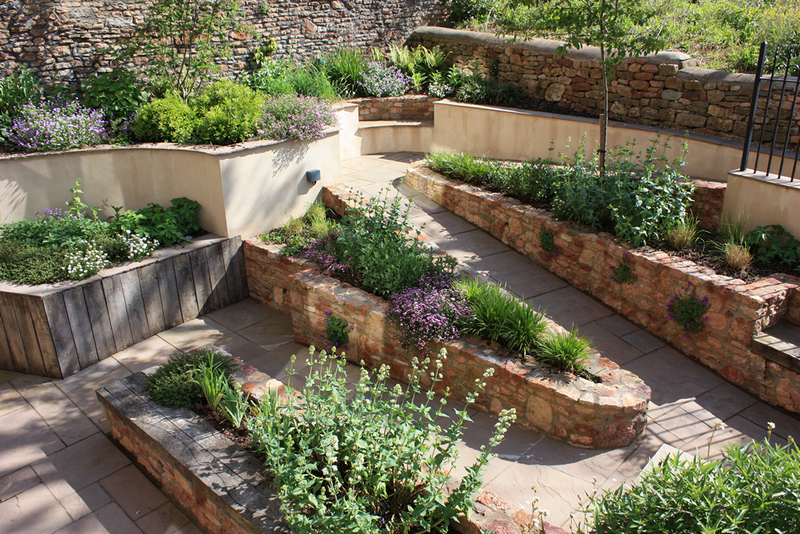 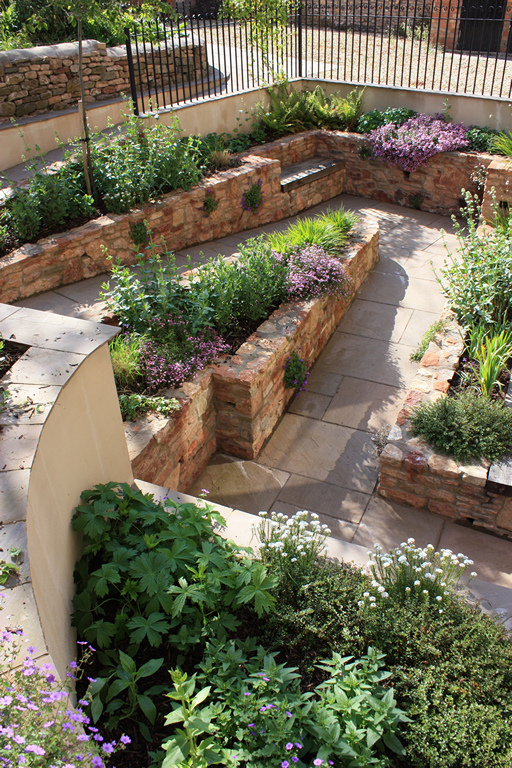 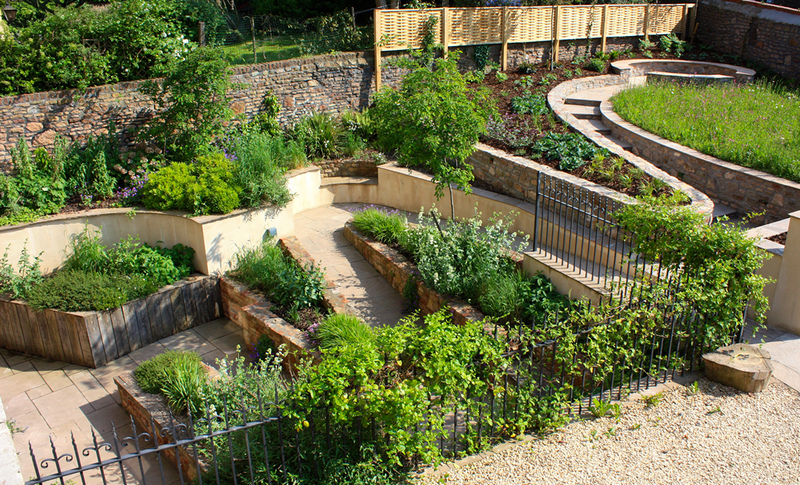 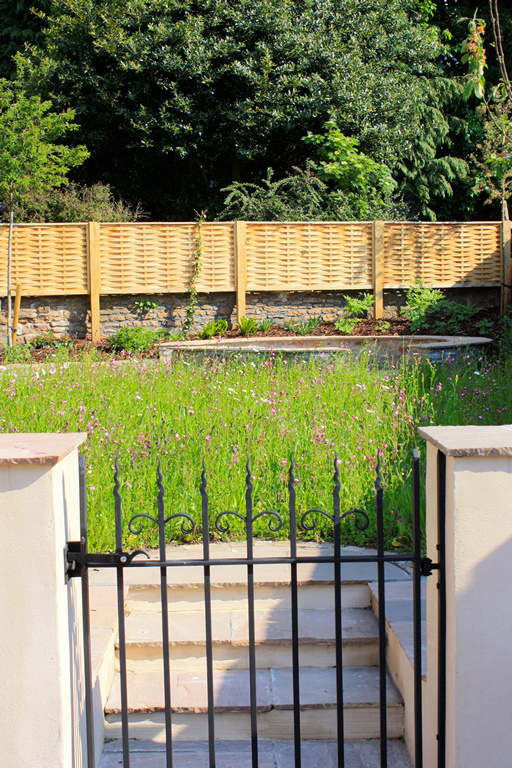 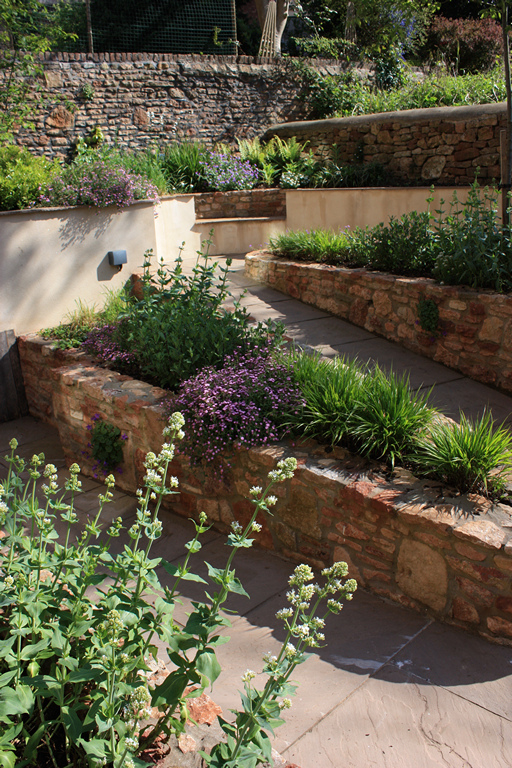 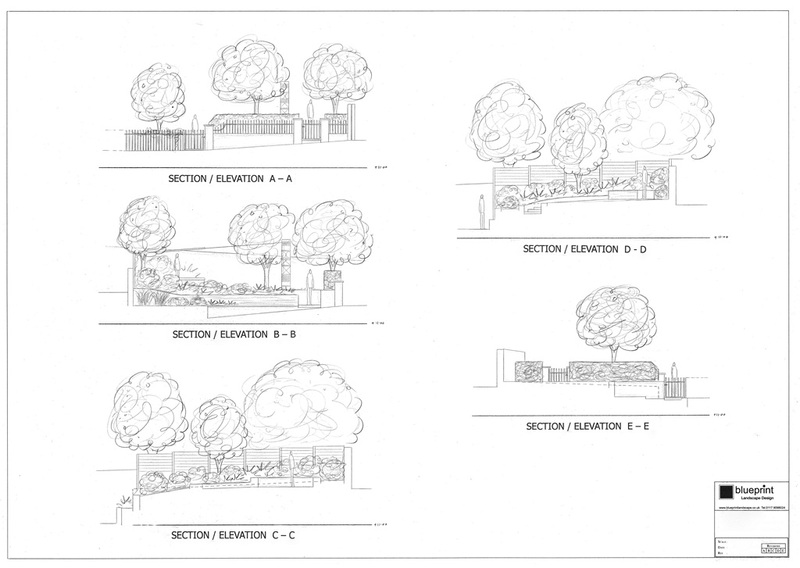 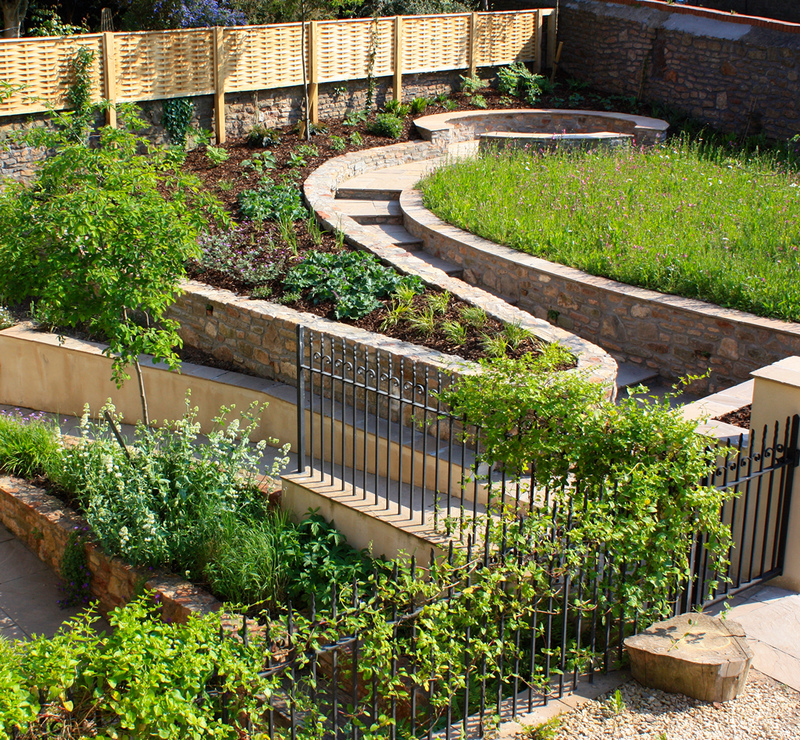 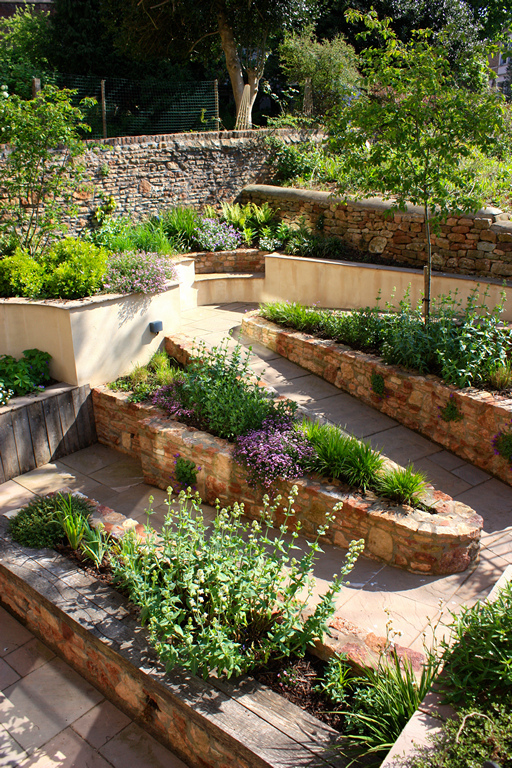 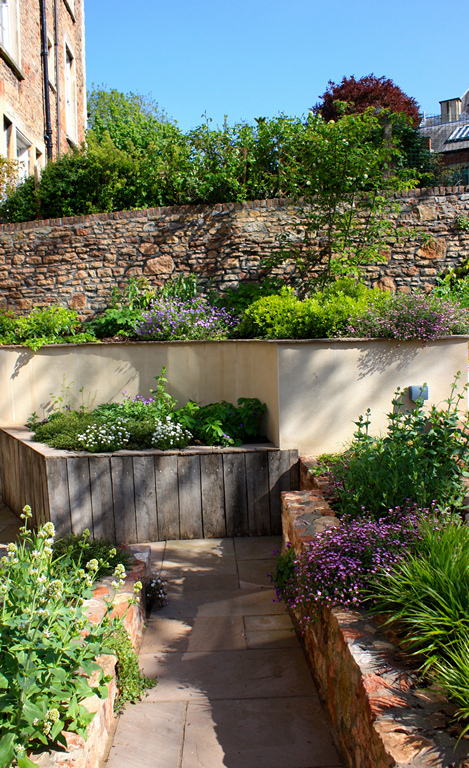 Designed and constructed in two phases, the upper garden is the most recent project. 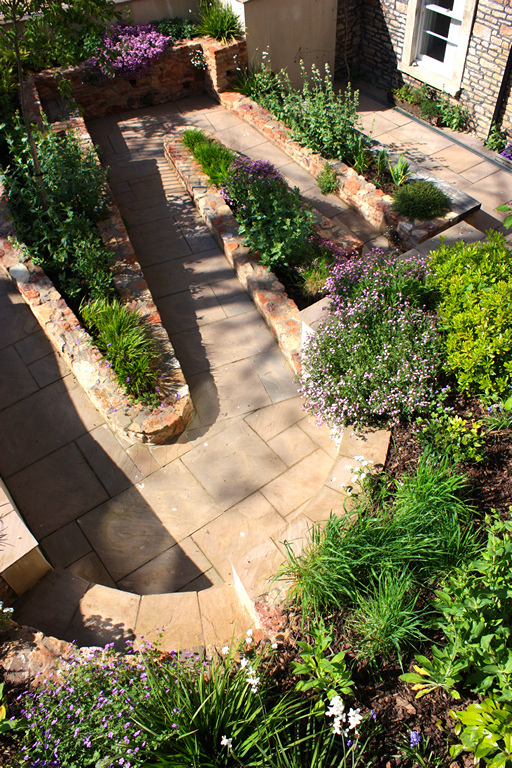 A huge amount of earth had to be excavated but the result is a highly individual space with a wonderful theatrical feel. 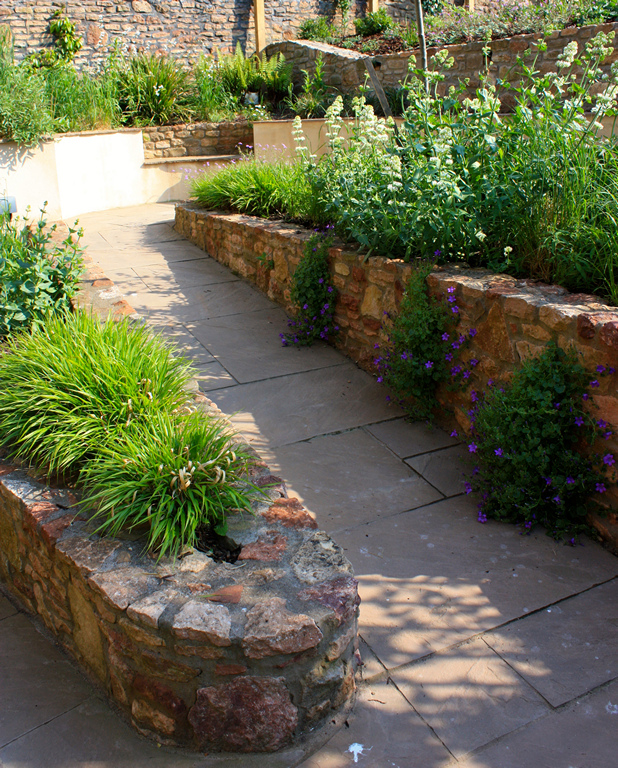 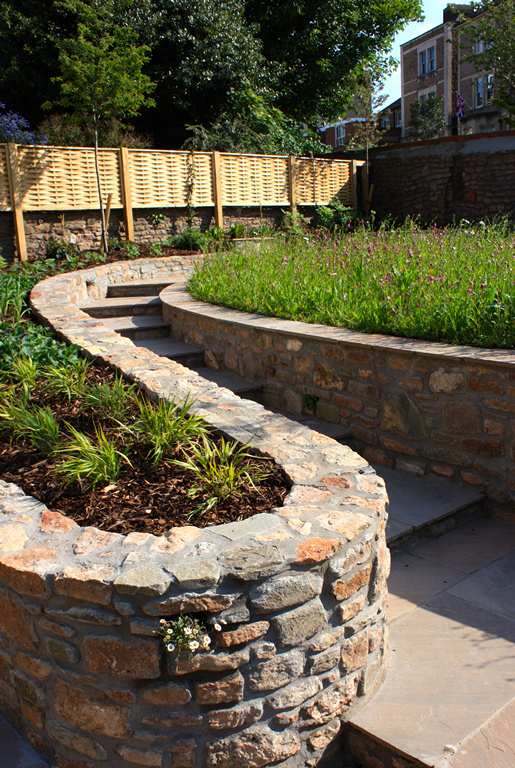 A sinuous stone path winds it way up to a circular seating area set in a small wildflower meadow. 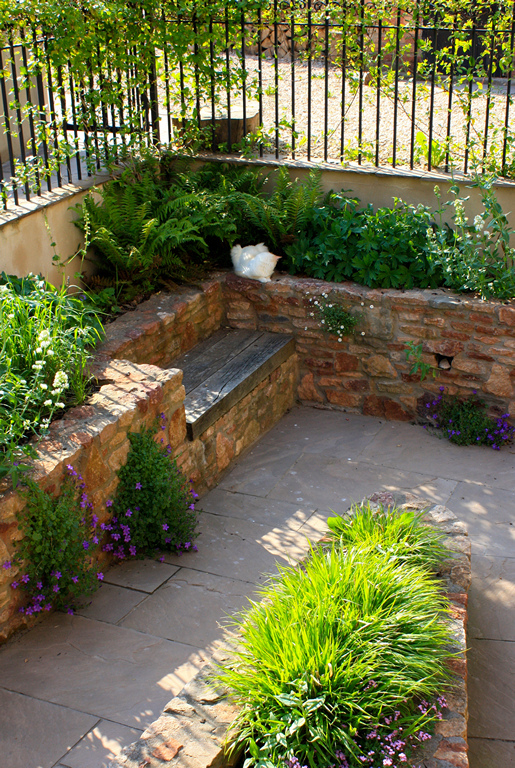 The layout forces you to take in the entire garden as you travel through the space and includes built-in seating along the way. 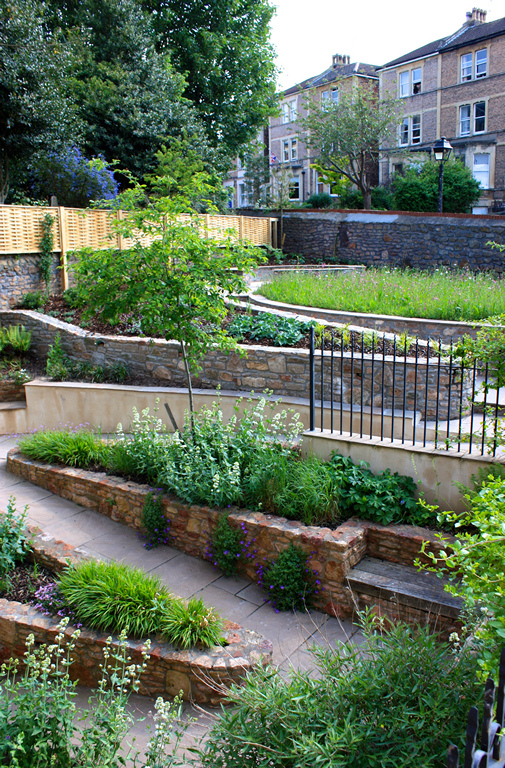 Contrasting textures of stone and oak complement the relaxed layout, while planting is natural, informal and wildlife-friendly.